The American political system is organized in such a way where advocates of special interest groups can translate their passion into lobbyist jobs. Many people are familiar with the term “lobbyist,” but don’t have a firm grasp on why this position still exists today. Marijuana lobbyist jobs bring attention to important issues and inform policy makers on the constitutional implications of cannabis specific concerns. Marijuana: A Social or Economic Issue? Given that the government is complicated and the legislators many, marijuana lobbyist jobs require candidates to invoke their knowledge of political systems to form a strong argument on the socioeconomic consequences of political decision making in reference to cannabis. Essentially, lobbyists must convince legislators not only that weed is important, but to explain why. Like most everything, cannabis decriminalization and regulation have both social and economic facets that make it an important issue. Socially, cannabis prohibition and the war on drugs has been outrageously harmful to minority groups and the disenfranchised, causing many non-violent drug offenders, especially young men of color, to be put behind bars. Cannabis has been a Schedule 1 substance coming up on fifty years and therefore has been restricted in the fields of medical research and patient care. Droves of scientists are lauding the potential of THC, CBD and the “entourage” of other cannabinoids and terpenes present in cannabis on medical conditions. Anecdotal, experimental and preliminary studies have largely shown encouraging evidence of cannabis on everything from childhood epilepsy to brain cancer and obsessive compulsive disorder. Some individuals have voiced their surprise at how quickly recreational cannabis legalization is passing in certain states and regions of the country. While these decisions are put to vote allowing for constituents to decide, the larger political and corporate establishments still maintain a huge influence over the laws that do and don’t pass. One reason so many states have been adopting recreational weed laws is because of the opportunity to bring in significant revenue. Recreational cannabis is highly taxed, promising hefty returns back to local states and municipalities, allowing for increased small business growth in the form of dispensaries and processing facilities. Cities like Denver, Colorado have been boosted by marijuana tourism jobs along with the entire west coast. As cannabis becomes further normalized into pop culture with more social use laws and decriminalizing acts, the industry could offer legitimate career opportunities for many passionate applicants. In 2014, it was reported that the cannabis industry employed twenty six employees in marijuana lobbyist jobs with combined earnings totaling $331,000. While this number is still relatively small compared to other interest groups, it reflects a dramatic increase in the proliferation of cannabis lobbyists within a decade. Involving working as a lobbyist, there are some myths surrounding the job description. While these individuals are passionate about their cause, they know that their primary goal is to educate and represent the underrepresented, not to get everything they want personally. Working marijuana lobbyist jobs doesn’t guarantee high paying salaries. In fact, most lobbyists start out as unpaid volunteers, before pursuing the career full time. Whereas volunteer lobbyists don’t undergo significant background checks, compensated workers undergo a thorough vetting process to ensure their capabilities. The demographic of individuals working marijuana lobbyist job varies from worker to worker. Some come from university backgrounds, boasting degrees in political science or government, while others are extremely passionate about their interest and have worked their way up as a volunteer. Lobbyists may not receive the highest salaries of all the marijuana jobs out there, but these workers know that what they do has direct influence on the decision making of legislators. Concerning the ins and outs of marijuana lobbyist jobs, there are some key elements to consider about this position before pursuing lobbying as a career path. It is also worth noting that not all lobbyists represent one special interest. Employees can form contracts with clients (as regulated by the government) of diverse interests separate and intersecting with cannabis. The cannabusiness infiltrates into so many other ancillary industries and maintains palpable effects on the country as a whole. As integral members of the industry, employees of marijuana lobbyist jobs are primarily charged with informing and succinctly educating policy makers on the legitimate implications of their interests. Before explaining details to others, lobbyists must first self-educate by studying legislative documents to gain a thorough understanding how their interest (in this case cannabis) comes into play. Even legislators who support decriminalizing and legalizing cannabis comprehensively may still be mostly uninformed on pot policy, as they have so many other issues to focus on. It is the job of the cannabis lobbyist to make marijuana a priority for legislators. This is where a lobbyist’s skill comes into play – convincing legislators not only how certain policies will benefit constituents, but the economy at large as well. America’s strength lies in its diversity; therefore, it is necessary that cannabis lobbyists be able to translate issues from English into other languages. Cannabis legalization affects every citizen, even if they do not have a direct relationship with pot. The more educated legislators and constituents are, the stronger policies will be. In order to convince legislators to listen to their concerns, marijuana lobbyist jobs charge employees with building impactful relationships with members of the government. Lobbyists are always clear and consistent with the goals of their client and use their knowledge of government and skill communicating to leave a lasting impression on those who make or influence important decisions. When put into action, there are a number of paths one can take to make an impact in marijuana lobbyist jobs. Organizations like the Marijuana Policy Project take a well rounded approach toward cannabis policy issues, breaking them down into six categories: Criminal Justice, Economics, Decriminalization, Legalization, Legislation and Medical Marijuana. These categories represent the far reaching arms of the cannabusiness – how it is important in commerce, but also in medicine and justice. To some degree or another, all marijuana lobbyist jobs are carried out with the goal of changing or removing marijuana from the Controlled Substances list. Despite compelling evidence saying otherwise, key legislators have long ignored the medical efficacy of cannabis in favor of a more reefer-madness mindset. President Richard Nixon officially sealed the deal for marijuana’s placement as a schedule one substance: the supposed most dangerous and least medically beneficial category in existence. 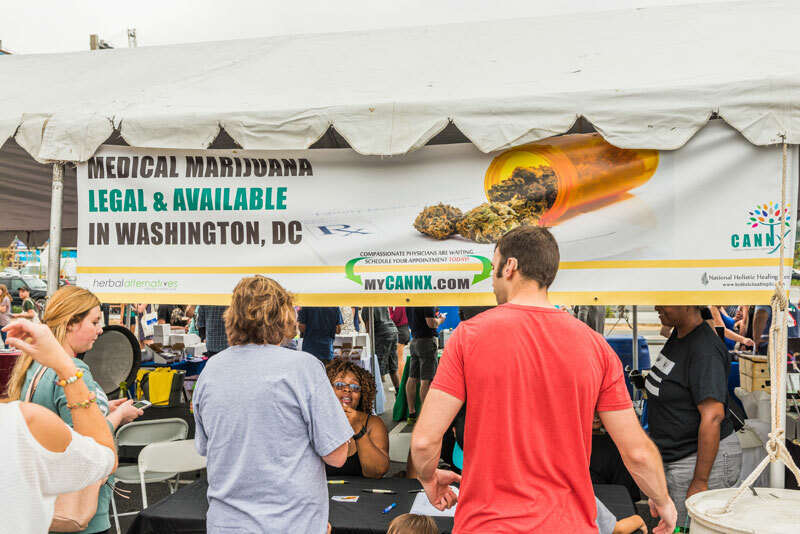 When marijuana was first scheduled in 1970 as part of the Comprehensive Drug Abuse Prevention and Control Act, legislators admittedly weren’t sure of marijuana’s potential for good or harm, therefore placing it indefinitely in the most dangerous category. While a seemingly insignificant detail to those policy makers, the decision has been the precedent long enough that it has been very hard for lobbyists to incite rescheduling. Senator Bernie Sanders of Vermont has proposed legislation to remove marijuana completely from the Controlled Substances list, deleting as well any lingering cannabis-related offenses. To provide some perspective on the spectrum of drug scheduling, substances such as cocaine and Vicodin are listed as having more positive potential and less likelihood of addiction than marijuana. Medically, we know this hierarchy to be false, but until legislature changes, the lifestyle of cannabis producers and consumers will be in limbo. What has been true throughout history and what remains true today is the aggression of major corporations and for-profit companies against cannabis legalization and decriminalization. Two especially big industries funding major anti-marijuana campaigns and academia are the pharmaceutical and liquor industries. For both these industries, cannabis is a direct competitor, medically so with big pharma and recreationally so with alcohol. The advent of recreational cannabis legalization has driven alcohol sales down in states like Colorado and Washington, inciting pushback from the liquor industry. Perhaps even moreso by the pharmaceutical industry, (who happen to harvest THC and CBD isolates for prescriptions) the success of cannabis is a major threat to the financial success of opioid manufacturers especially. If you’ve reached this point in the article and are still interested in marijuana lobbyist jobs, there are numerous paths to becoming involved. First, conduct more research on federal, state and municipal cannabis regulations to get a better idea of what the rules are on buying, selling and consuming cannabis. Become familiar with the diversity of cannabis products out there, the difference between medical and recreational cannabis and what it takes to start a business. Once you’ve gathered more information, look to reputable sources like Norml.org for further guidance on how to get started in your city and state. The site breaks down local and federal legislation that it supports or opposes, giving compelling, yet easy-to-read synopses of specific bills and laws. This is an excellent resource to gain an understanding of the wide range of measures proposed in local and federal government. The current American administration is keeping cannabis supporters on the edge of their seats. While originally agreeing to keep cannabis legalization a statewide issue, new cabinet members and legislators in congress are passively threatening statewide reversals. None of these claims are substantiated at present, however, marijuana lobbyist jobs are showing huge support for local businesses and governments to hold onto cannabis legalization and push for better legislation. Cannabis supporters are part of a strong community of individuals who care about the medical applications of cannabinoids on human physical and emotional wellness. While there are many advocates of cannabis legalization, the industry needs more activists and lobbyists who decipher, then communicate information to legislators and constituents.